When you order a coffee in Italy, you will be served an espresso, in those small cup. Italians take coffee very seriously, and there is a way to enjoy it appropriately. A good espresso should not be bitter and prepared with fresh beans. Also, « espresso » means fast, they usually drink it at the bar. One essential rule to know before you order: capuccino or other variations of coffee with milk should never be ordered after 11am. They are considered as a “meal” in themselves and only for breakfast with a pastry. A journalist from the Guardian asked Italians how they felt about Italian food in New York, and New Yorkers but also French are doing it all wrong, particularly for the capuccino which is often ordered during lunch or dinner. In Venice, locals were having for breakfast an espresso with a pastry standing at the bar. 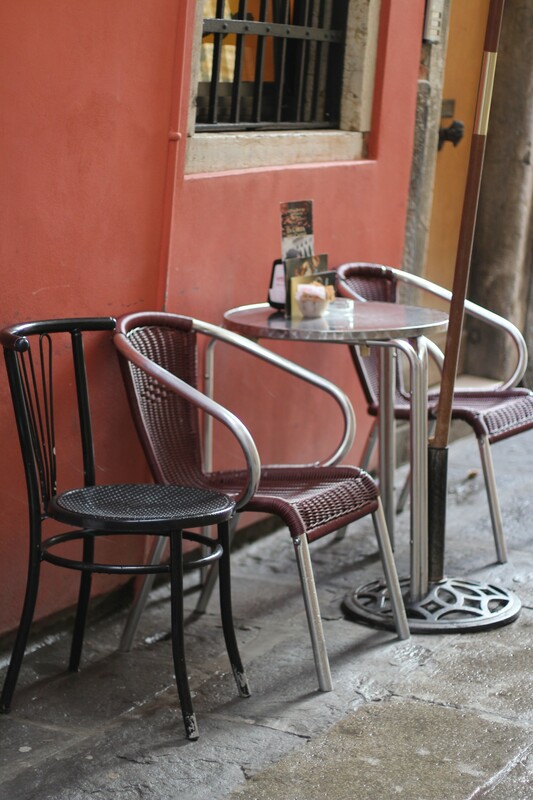 A caffé you have to go for mingling with locals and hear Italians chatting – definitely the most beautiful language – is Caffé del Doge. 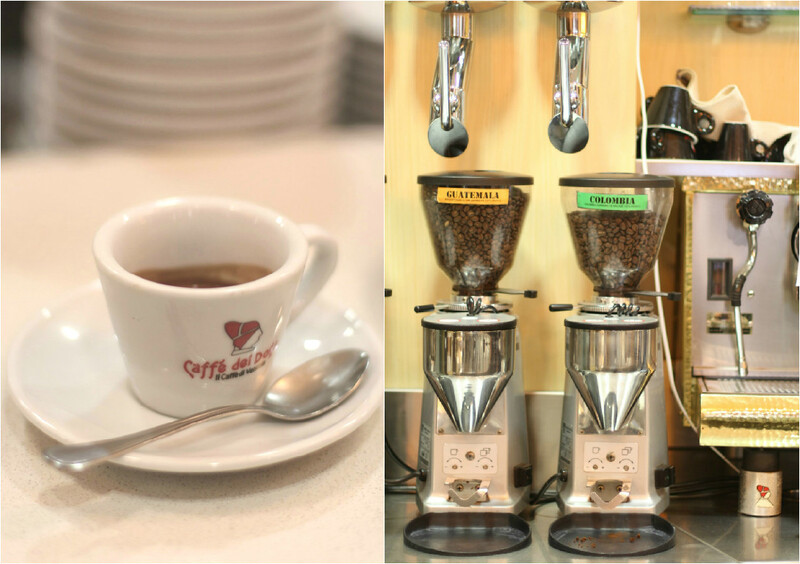 They have beans from everywhere around the world and propose a large selection of drinks and pastries. 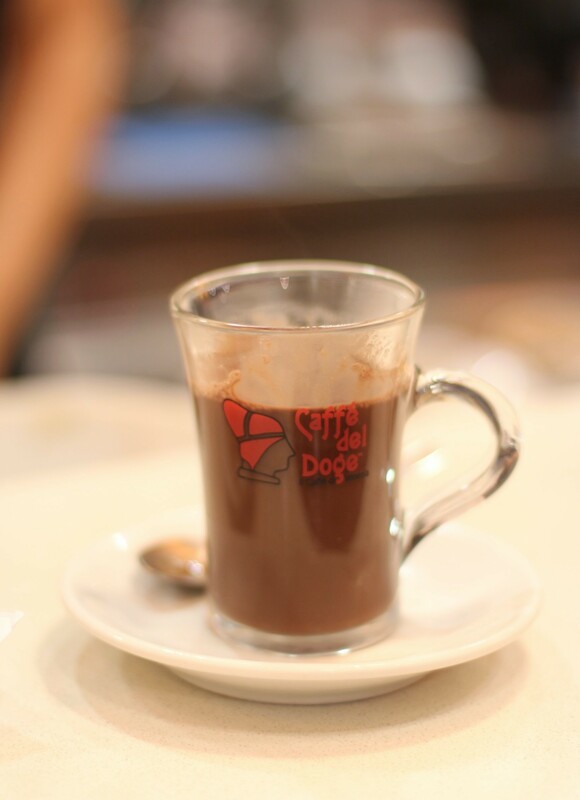 If you are with friends who do not drink coffee, they can choose between hot chocolate prepared with real cocoa, or tea. I went for an espresso and a « mandorle torte », which is almond tart. 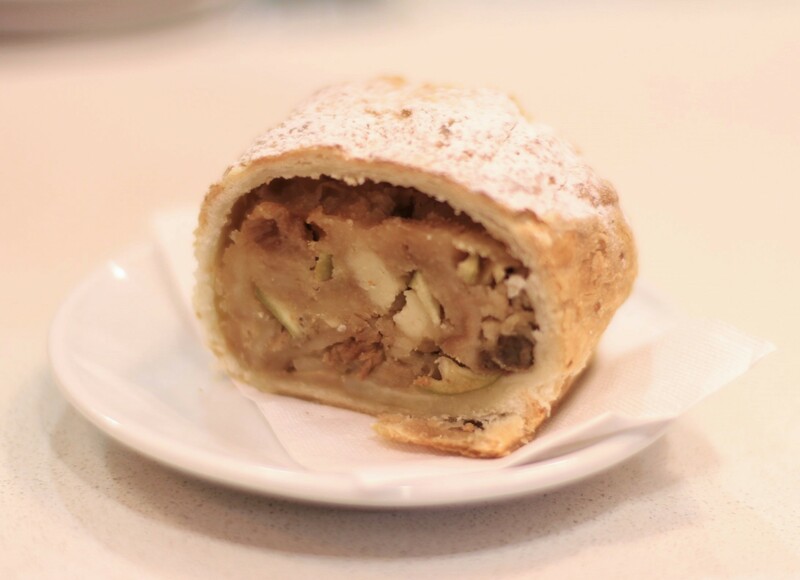 Italy is the country of Hazelnuts and Almonds, so eat them all while you are here! There were also my favorite pain au chocolat but it did not look as good as my delicious slice of mandorle pie. For a good start every morning, I would definitely adopt the Italian breakfast! Je ne comprends pas tout mais les photos font rêver !! Vous lisez actuellement Italian Breakfast : Caffé del Doge à Sugarsheet.